Marvel Studios producer Louis D’Esposito recently mentioned the idea of doing a Captain Marvel movie. Battlestar Galactica's Katee Sackhoff recently revealed she's in talks with Disney/Marvel for... something. Is this the first inkling that we're getting a Katee Sackhoff-led Captain Marvel flick? God I hope so. So really, he's just vaguely conceding it's a possibility (which is exactly what he'd say if he were secretly planning a movie... but also what he'd say if Marvel were merely considering it). 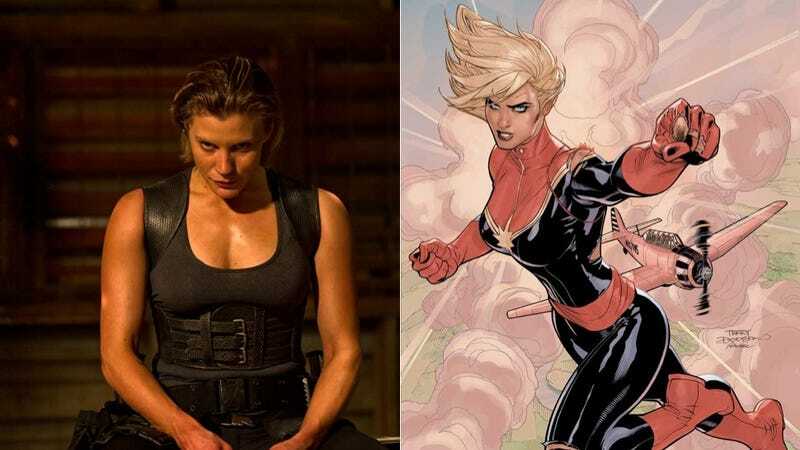 But here's when the Schmoes Know Podcast asked Katee Sackhoff about her possible involvement in a Marvel movie, she responded that she'd been in talks with Disney and there had been "a lot of checking of availability for the first quarter of next year".